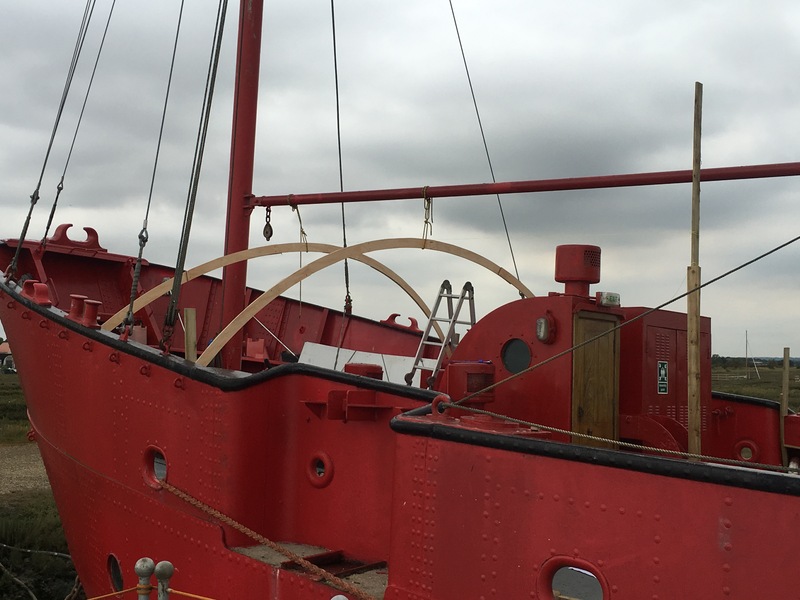 To prove the drawings and get a feel for the new covered area we are adding to the foredeck in January, we decided to construct a couple of the hoops in timber. Thanks to Paul Blyth who came down to do the construction. It was a successful day which resulted in the plans being revised. We plan to re-template the roof once again in timber to prove this complex compound structure. Frank Hall & Sons returned in a short gap between groups to do a test cutting of the air receiver tanks. 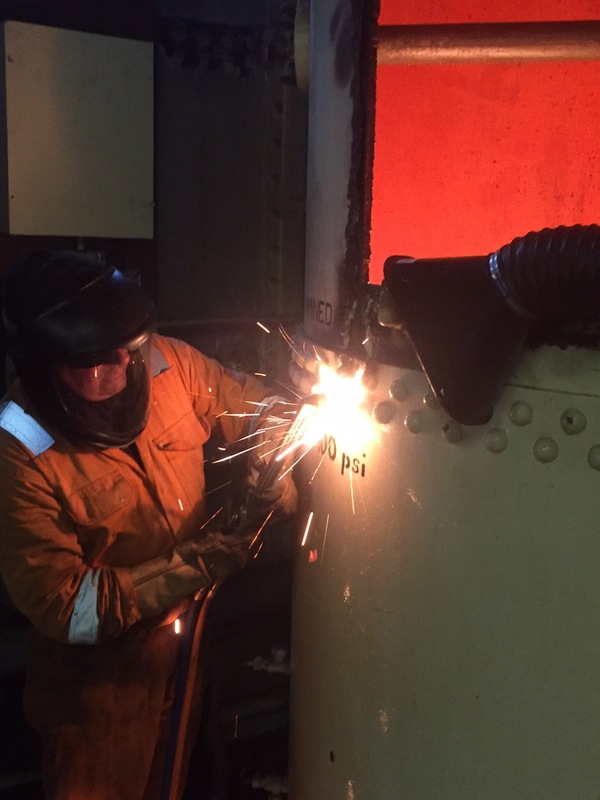 The three tanks are a bit of an unknown in terms of how easily they will be to cut up. 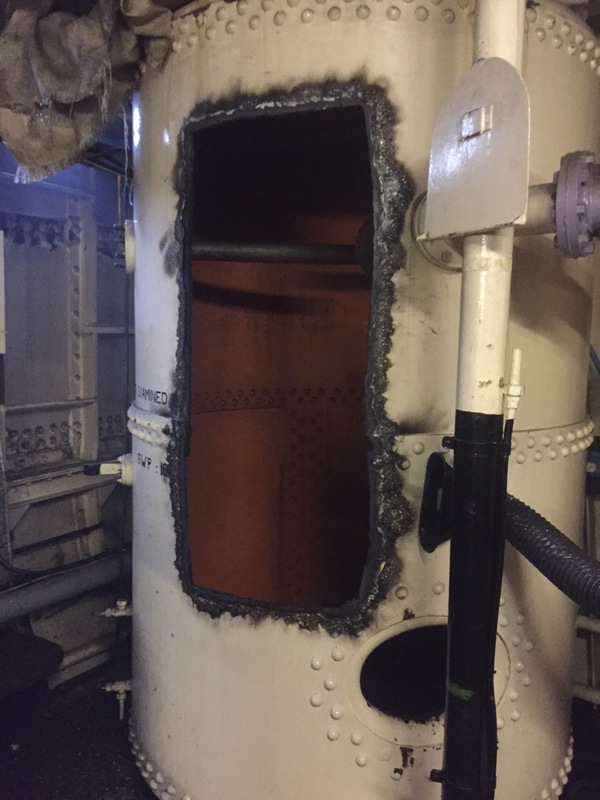 As the pictures show in less than an hour a large hole was cut and systems checked – everything went to plan. This is encouraging for the next piece of work when our contractors return in November after our busy period serving our guests. 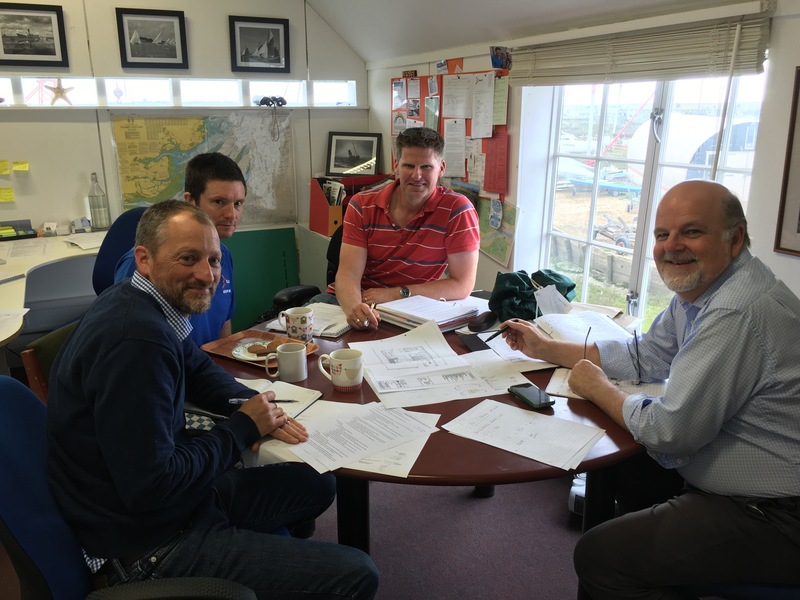 We are currently having design meetings every two weeks as we work through the detail of not only the phase 1 work, but also future phase of the project. Today, we spent some time reviewing some design work from a local company for the galley area with our chef, Mark. 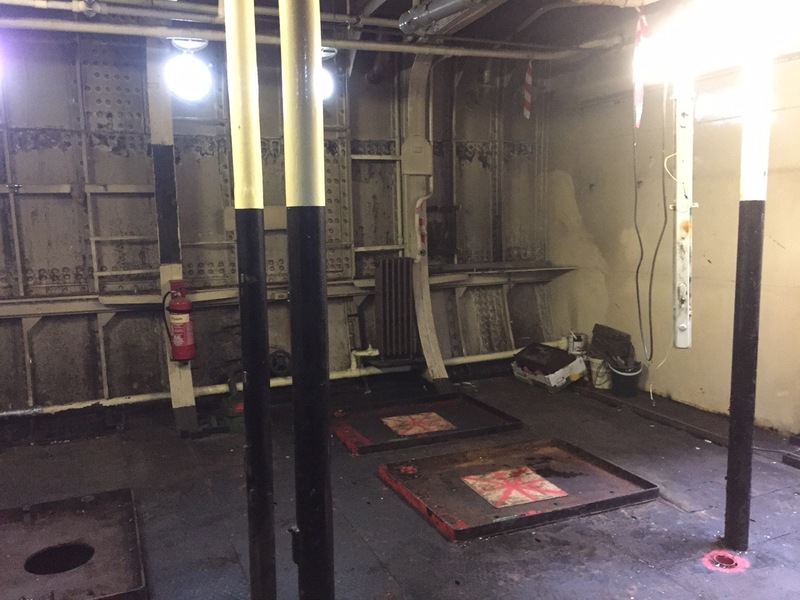 After 3 weeks of work clearing the engine room work is now stopping ready for the return of our guests. 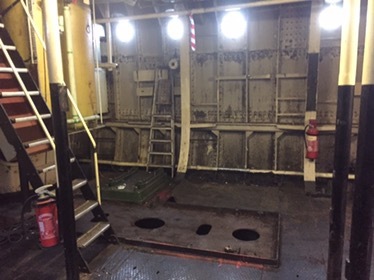 Frank Hall & Sons will return in November to complete the clearance work which will include the removal of the three large air receivers and the windlass from the foredeck. 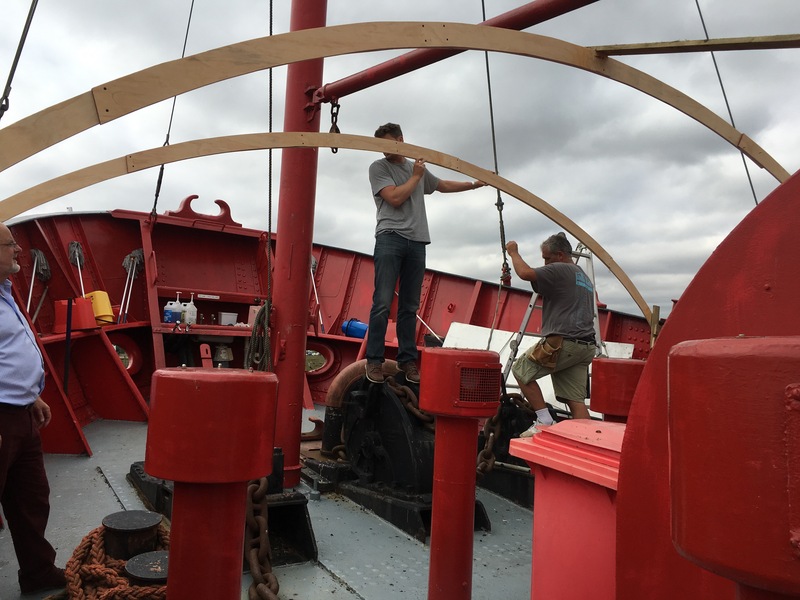 Once the engine room is emptied the whaleback construction starts after Christmas ready for the new season. As the team left today below are a couple of pictures that show the space that is forming down below. Exciting! !